DREAMSCAPE (AUS) (Bay 2005-Stud 2010). 4 wins to 1400m, AJC Stan Fox S., Gr.2. Sire of 104 rnrs, 46 wnrs, inc. SP Bugatty - Vanderbilt (Sing.) and of E Master, Hammoon Dream, Dreamscope, Extreme Dreams, Artanis, Hammond Lane, Himpapawid, Lady Jane, Matagami, Red Dream, Eden Vale, Settle Then Lift, Prince Planet, Ahmah Star, Ultimate Dreamer, Dream Piper, Genoveffa, Herecomes Thefuzz, Supreme Escape, Yuralla Boy, Dreamnomore, Dynamic Dynasty, etc. Hanji Bro (g. by Minardi). Placed at 3 in Aust. Racer Ace (g. by Minardi). Placed in Aust. Flower Gem. 10 wins to 1200m, A$87,155, BTC Powerhouse Boutique Hotels H., 2d BTC Trans Continental Hotel H., STC Certified Male 2YO H., 3d Qld Tatt's RC Hamilton Hotel H., BTC Main Roads H., Reward Insurance H., Hotel Laguna H.
Beta Buta Up. 2 wins at 1000m, 1200m to 2018-19 in Aust. Lostris. 3 wins at 1200m, 1400m, 2d BTC Davagn Financial Services Inaugural 2YO P., QTC Merger of Equals P.
Pure Chance. Winner at 2 in Aust. LUCKY LUNA (Springsteen). 13 wins from 1250m to 1650m, A$545,010, SCTC Glasshouse H., L, Sunshine Coast Cup, L, BRC Happy Birthday Jim Neibling H., Bruce Thomas Lawyers H., BG Group Finance H., Schaefer Store H., Sky International H., BTC RSL Art Union P., 2d BRC Hotel Orient H., Gallopers Sports Club H., LED Super Screens H., Skyracing.tv H., Lyndhurst Stud H., 3d BRC Lough Neagh S., L, Qld Tatt's RC Members' Cup, L, QTC Sir Edward Williams H., L, BRC Eyeman Optometrists H., Mount Franklin H., QTC Xerox P., Lyndhurst Stud H., Caloundra RSL H., Qld Tatt's RC Tattersall's Arcade H.
Country Classic. Winner at 1400m in Aust. Love Ya Mrs. 4 wins to 1200m in 2017-18, BRC Canadian Club P.
Tattoo. 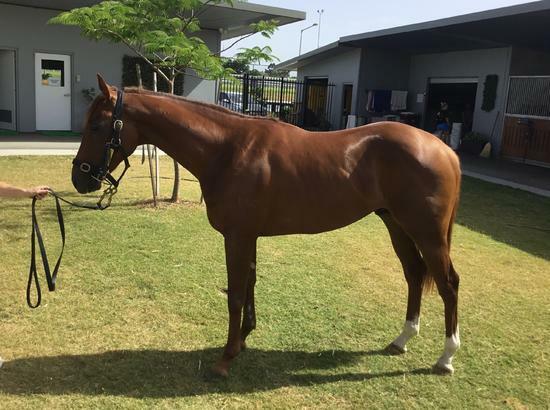 2 wins at 1200m, Singapore TC Class 5 H., Initiation P.
Hogan's Warrior. Winner at 1400m in Aust. Mr Hogan. Winner at 1000m in Aust. Rosy Road Home. Placed in Aust. THE CHALLENGE (Biscay). 6 wins-1 at 2-from 1200m to 1600m, VRC Pan Am S.H., L, City Tatt's RC Club H., STC Cadburys H., Carnivale '83 H., Matrice Welter H., Launceston Casino H., 2d AJC Sydney Opera House H., Liverpool Festival H., Sunnyside H., STC Paradise Welter H., 3d VRC Carbine Club S., L, 4th VATC Sandown Guineas, Gr.2. Sire. PHARAOH'S DAUGHTER (Biscay). 2 wins-1 at 2-at 1000m, 1100m, WATC NJ Way S., L, Esmerioc Graduation S., 2d AJC Keith Mackay H., L, WATC Burgess Queen S., L, Parade Quality Sprint H., Pub Mart Graduation S., 3d STC Reisling Slipper Trial S., Gr.2, Sweet Embrace S., L, WATC Belgravia S., L, 4th STC Magic Night S., Gr.3. Delayed Reaction. 2 wins at 1000m, 1250m, STC Truscott's H.
Libran Sun (II). 4 wins at 1200m in Malaysia. Monochrome. 2 wins at 1400m, 1450m in Aust. Kym's Delight. 2 wins at 2 in Aust. Flowerland. 2 wins. See above. Mille Fiori. 7 wins-1 at 2-to 1200m, AJC Sandringham H., STC Port Jackson H., Carlingford Welter H.-twice, AJC Gay Icarus H.
Gletchin. 3 wins at 2, AJC Mick Ferry H., STC Elizabeth Farm H., Parramatta Princess H., 2d AJC Maltine H. Producer. Matchiko. 3 wins-2 at 2-to 1400m, AJC Harry Plant H., STC Magic Kingdom H., 2d STC Acorn H., Hawaii H., 3d STC James Ruse H., Parramatta Lancers' H., Bentinck H.